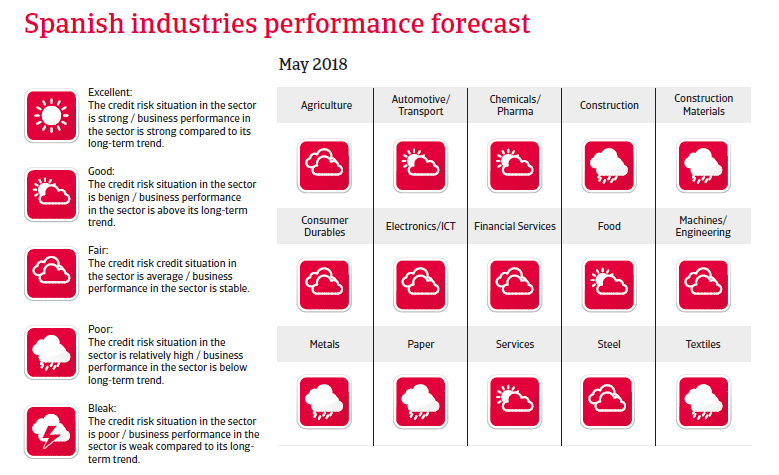 In 2018 and 2019 economic growth is expected to moderate somewhat but to remain robust, with private consumption and investment remaining the key drivers. Corporate defaults have closely reflected economic conditions, with high year-on-year increases seen from 2011 to 2013. 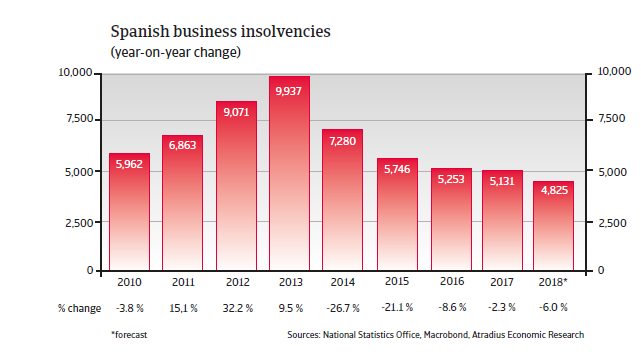 With the economic rebound since 2014 insolvencies have been declining, and this positive trend is expected to continue, with business failures forecast to decrease 6% in 2018. However, this would still leave business insolvencies at a high level of about 4,800 cases. This is four times higher than in 2007, when about 1,150 cases were recorded. Spain’s economic rebound gained further momentum in 2017, with GDP increasing by more than 3%. In 2018 and 2019 economic growth is expected to moderate somewhat, but to remain robust, with private consumption and investment remaining the key drivers. Spanish exports continue to benefit from the rebound in the eurozone. The unemployment rate is forecast to decrease further in 2018 and 2019, but to remain above the eurozone average. The deleveraging of household and corporate debt continued in 2017, but there is still some way to go, especially for businesses in the construction sector and households with lower income. 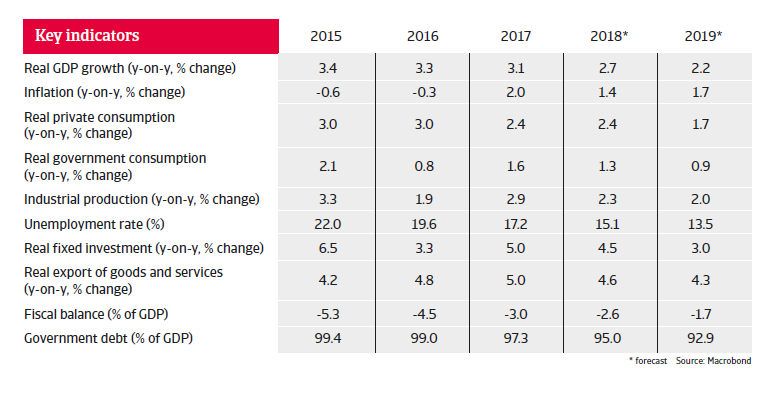 The resilience of Spanish banks has improved further in 2017, in terms of asset quality and capital. However, the level of non-performing loans remained high compared to that of other EU-members. In July 2016 the European Commission conceded Spain two additional years, until 2018, to lower the budget deficit to less than 3%. It is expected that this target will be met in 2018 and 2019.